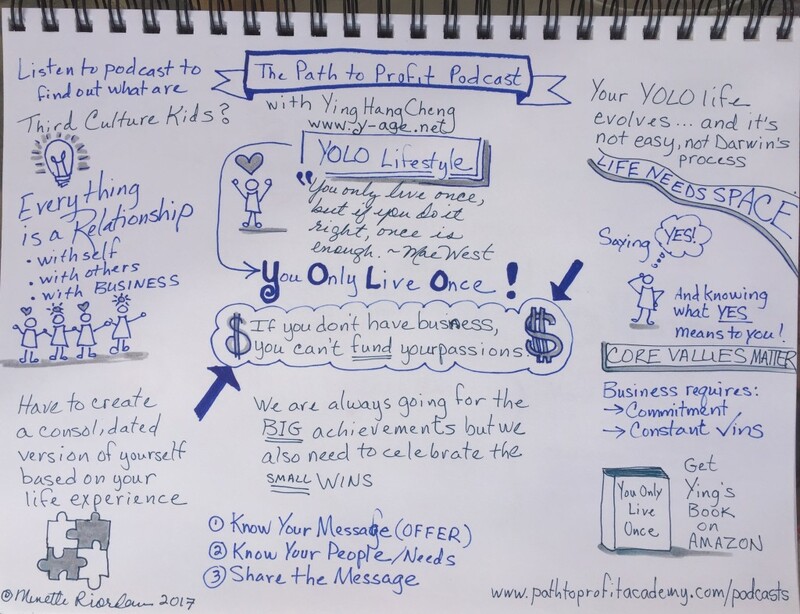 Minette and Brad both loved the You Only Live Once (YOLO) approach that Ying brings to everything in her life and business. We talk about the commitment and relationships involved in building a business. Millenials have a different view of how they want to approach the lives and their careers … as opposed to old people like Brad and Minette 😉 … Like Ying, many feel like they are not constrained by geography nor traditional corporate careers. 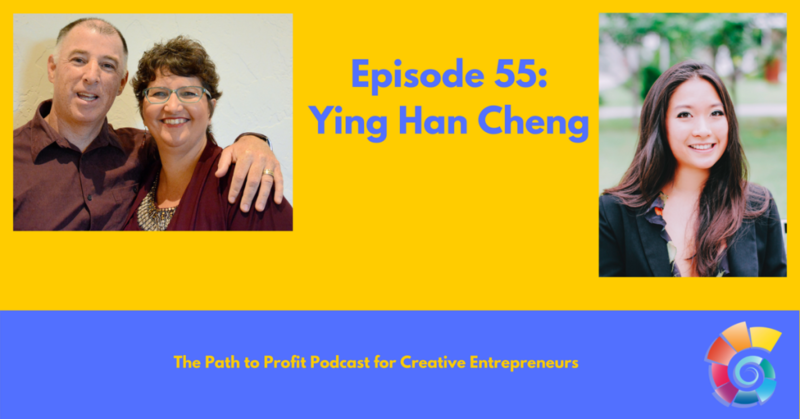 Ying Han Cheng is an international bestselling author, speaker and conscious business innovation coach. She supports entrepreneurs, conscious creators and Third Cultured Kids in 5 continents pinpoint their PASSION, turn it into ACTION and (in many cases) FUND their 6 figure YOLO lifestyles. Her clients span Asia, Africa, Europe, and USA. Her You Only Live Once (YOLO) Life & Business Style book and Freedom Success Formula International Online Group Coaching Program has been seen on 350+ networks including ABC, NBC, FOX, “The Startup Celebrity Show”, Forum for the future, and BBC. Prior to coaching, she managed digital marketing teams in 6 countries for IBM & Lenovo with Ogilvy & Mather. She also holds a Masters of Science degree in Innovation, is a Master Neurolinguistics Programming (NLP) practitioner and has been a part of Stanford, Claremont Mckenna College, Singapore Management University, and University of San Francisco.